If you’re looking for a clean and simple approach to your laundry layout, then the Benchline 35 Litre Laundry Sink is meant just for you. 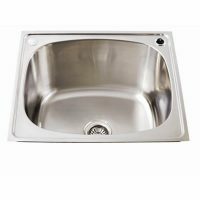 The Benchline Laundry Sink is a quality product from Everhard. As an insert sink, it allows you to maximise your bench space, while its classic stainless steel finish will suit the interiors of any home. 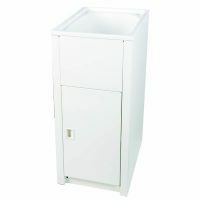 The Benchline Laundry Sink measures 555x455x220mm and boasts a capacity of 35 litres. It features a single bypass assembly and is equipped with two tap holes. 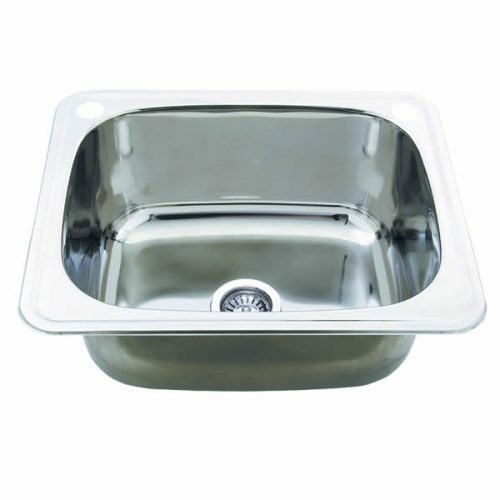 The Benchline Laundry Sink is manufactured using top grade 304 stainless steel and also includes a 90mm basket waste. 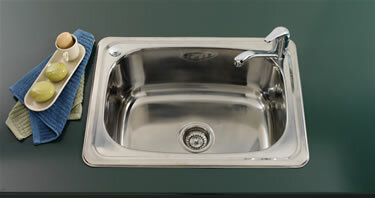 The Benchline Laundry Sink is designed for easy installation. All you need to do is to create a cut out in your bench top using the template provided on the product carton and the sink will slide in perfectly. Everhard backs this top notch product with a 25-year warranty on the stainless steel bowl and a 1-year warranty on the basket waste. 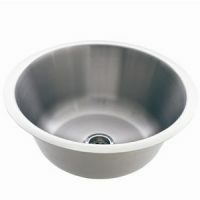 The Benchline Laundry Sink is currently featured on Ross’s Discount Home Centre at the lowest price in the market. So what are you waiting for? Buy this sink and make your laundry duties simpler today!